• USB Type-A and Type-B ports for storage and console respectively and an out-of-band Ethernet management port. 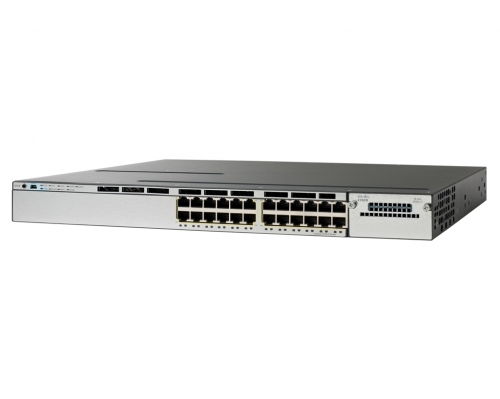 All switch models can be configured with the optional four GbE or two 10 GbE network module. The switch models are available with either the LAN Base or IP Base feature set. IP Services feature set is available as an upgrade option at the time of ordering or through a license at a later time. Figure 1 shows the Cisco Catalyst 3750-X Series Switch (front and back).